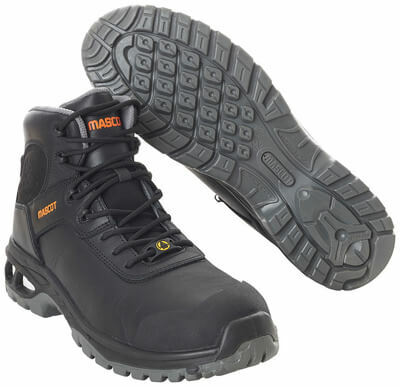 New safety shoes and boots are lightweight with an extremely shock absorbing sole and are extra flexible in the metatarsal area. The difference is noticeable! It’s noticeable as lightness and comfort for your feet, even on the longest work days. 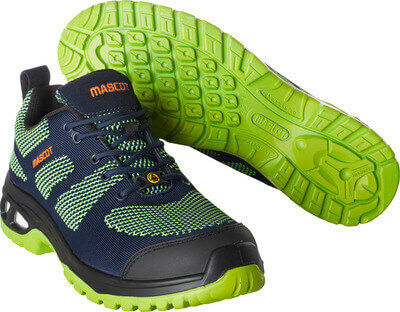 This autumn, MASCOT launches a new collection of safety footwear with the name MASCOT® FOOTWEAR ENERGY. Four styles each available in two colours or variants. 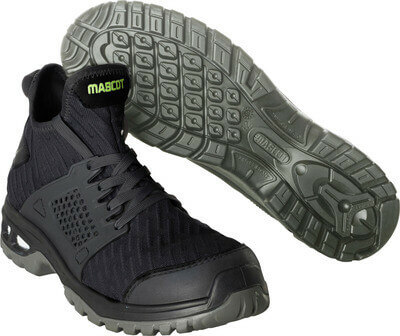 It is the shock absorbing and lightweight midsole of the material ETPU that distinguishes MASCOT® FOOTWEAR ENERGY from other safety shoes. 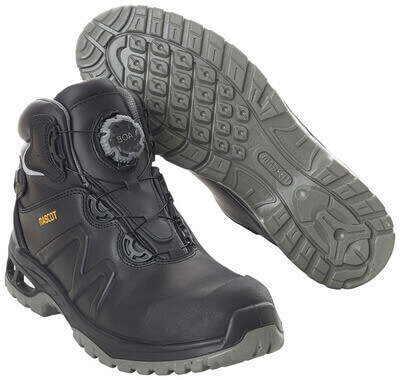 The sole material makes the safety shoes extremely shock absorbing and comfortable to wear. Every time you take a step, the sole absorbs the shock that would otherwise propagate in the legs and back. It gives a walking comfort beyond the usual – even on hard surfaces and after many hours on one’s feet. 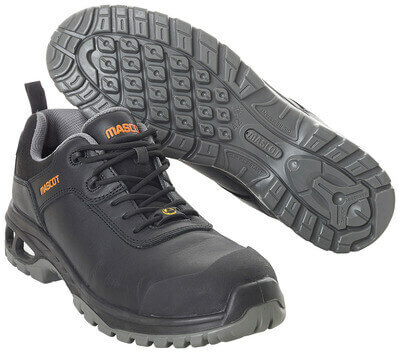 All safety shoes and boots in MASCOT® FOOTWEAR ENERGY are metal free. The toe cap is made of composite, while the nail protection is made of an advanced, durable textile material. This helps to make the footwear extremely lightweight, but also ensures that the footwear doesn’t conduct heat or cold. This is especially an advantage if you work on particularly cold or warm surfaces. All materials are chosen with a focus on giving the MASCOT® FOOTWEAR ENERGY collection the lowest possible weight and the highest possible flexibility. 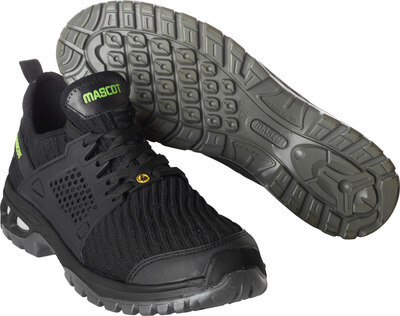 The footwear in MASCOT® FOOTWEAR ENERGY is approved according to EN ISO 20345, safety class S1P and with soles approved according to the best norm within slip resistant soles; SRC. All styles also have non-marking soles. The collection has been developed for craftsmen who walk and stand for many hours during a work day. A test panel from these industries has tested the shoes in their daily work in a test period during the development process. MASCOT used the feedback from the test panel to adjust the details, before the production of the shoes commenced. The shoes are sold at MASCOT’s distributors starting in September. Two of the four styles (F0132 and F0133) have an elastic upper material that almost feel like an extra sock. The soft, flexible fabric fits close to the foot and delivers high support when moving.